Denisse M. Ibarra focuses her practice on first and third party defense, successfully receiving dismissal of several declaratory judgment actions against major insurance carriers. Denisse M. Ibarra focuses her practice on first party & third party defense, successfully receiving dismissal of several declaratory judgment actions against major insurance carriers. In addition, she has defended a variety of liability and property claims on both commercial and personal lines insurance policies. Ms. Ibarra also handles commercial litigation and construction disputes, including payment disputes, mechanics’ lien and bond claims, as well as breach of contract issues. 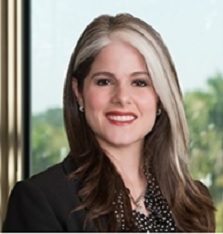 Prior to joining the firm, Ms. Ibarra was an attorney at a Miami based insurance defense firm. She skillfully determines strength and weaknesses in her legal representation, which allows her to develop a clear strategy that moves forward toward the goal of successful resolution. Ms. Ibarra is fluent in Spanish.